Takhzeen Logistics Company is the first Saudi based company in the logistics industry, continuously developing its services and adopting new guidelines to keep pace with the latest advancement in international standards and recommended practices for the logistics industry. We strive for excellence in service-management to our clients on the right place at the right time. We have specialized equipment& systems and professional staff with extensive experience in logistics industry. Our company is privileged to announce the continuous expansion to all major cities of the Kingdom. By the grace of Allah, we are continuing to expand within the Kingdom to meet the needs of our customers. In 2016, we made a comprehensive plan to cover most regions of the Kingdom and expand our customer base to ensure quality service with competitive prices. We are providing storage for all types of goods ranging from freezing temperature -30 to +28 degrees, Ambient to Dry. In addition, we provide transportation services under specific temperature required to meet the needs of our customers with high efficiency. We provide goods-flow and inventory-management with high accuracy to reduce the operation cost of our customers. Not only will our management be healthy and transparent, but we will also evaluate our employees fairly, regardless of nationality or age, through our understanding of and respect for the cultures thereof. We will work to ensure that our employees can make the most of their abilities, creating satisfying work environments and further raising the value of our company, making it a loved and respected member of the greater community. I am proud of our accomplishments so far, and I look forward to our continued growth and success in the years ahead. I know that we will face many challenges, but I am confident that our people and our leadership, guided by our core values, will meet these challenges and continue to provide great value to our customers. In closing, I would like to welcome you to TLC and our web site. I invite you to explore our web site further and learn how we can help you to achieve your goals. Takhzeen Logistics Company (TLC) as a Regional Supply Chain Provider is committed to Quality Service. 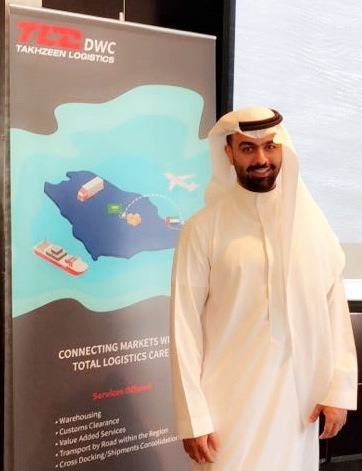 We believe in CONNECTING MARKETS and deliver value to our business partners with TOTAL LOGISTICS CARE.